Hasakari is local dialect that roughly translates to “stuck” or “to be wedged between”. The three rocks used to be one large rock with a cave that had been eroded by the waves. Further erosion caused the upper part of the cave to collapse and become stuck, creating the current natural “art” formation. You can easily see Hasakari Rock from the road that runs along the coast. 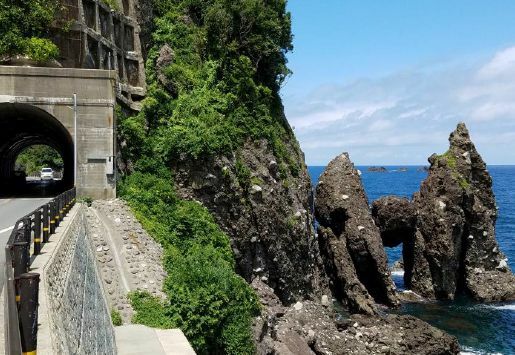 On days with nice weather you can rent a bicycle from JR Takeno Station or the tourist information center by the beach and take a scenic ride along the coast to see the rock. Another nice thing to do is to pack some things for swimming. 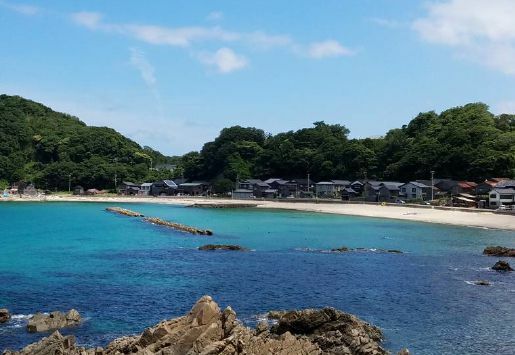 Weather and water conditions permitting, there is a nice swimming beach nearby called Kirihama. It is also point of interest and is listed as part of the San’in Kaigan Geopark. Hasakari Rock can easily be seen from the roadside. Nearby is a lovely swimming beach. A good portion of the water is shallow and perfect for children. 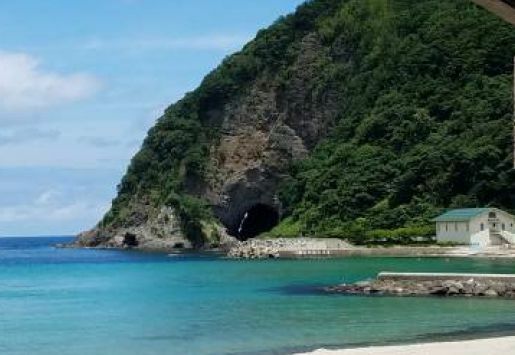 At the end of Kirihama Beach near Hasakari Rock is a small cave. Depending on the tide it can be possible to walk right up to the mouth of the entrance.